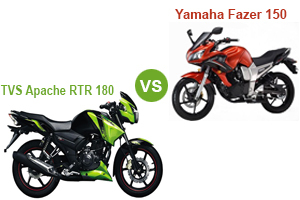 22+ User Votes to help you to compare TVS Apache RTR 180 vs Yamaha Fazer Fi V 2.0. Which bike is your favourite to buy ? 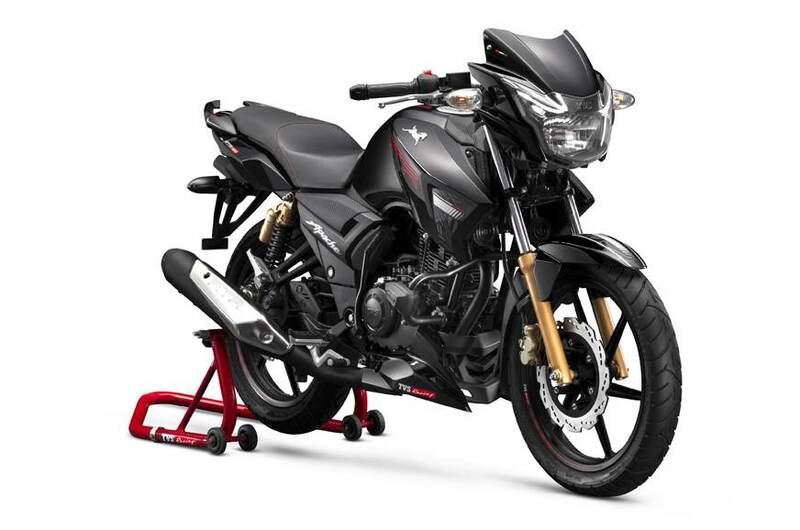 TVS Apache RTR 180  – TVS has launched the 2019 version of the Apache RTR 180 ABS in India. The new 2019 TVS Apache RTR 180 ABS styling is based on the racing carbon fibre theme, further accentuated by the new race inspired graphics. The bikes come with loaded feature like as a new color scheme with sportier graphics, seat finished with Alcantara-like material, a new instrument cluster with white back light, forged handlebar end weights and a new crash guard with frame sliders. The bike is powered by a 177.4cc single cylinder four stroke engine that develops 17.03 Bhp of power and 15.5 Nm of torque. The TVS Apache RTR 180 ABS safest bike in its class 180cc segments. 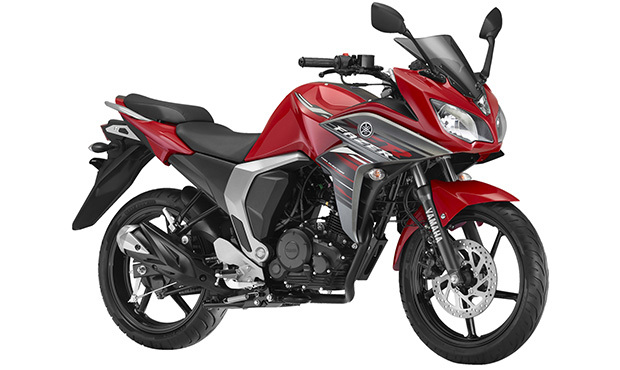 Yamaha Fazer Fi V 2.0 – Yamaha Fazer FI V 2.0 is the semi faired version of Yamaha FZ series. The bike carrying a design which makes it aerodynamically more efficient on the highway than its naked cousin. Fazer FI is even the most affordable semi faired motorcycle with fuel injection system in India. The new Fazer Fi Version 2.0 is a 149cc, Blue Core, 4-stroke, single-cylinder, air-cooled, SOHC, fuel-injected engine that generates power of 12.9 Bhp and torqu of 12.8 Nm.The bike has got new remarkable updates including new graphics, dual headlights and fairing mounted rear view mirrors, a split seat, rear license plate enclosure, tyre-hugger and a new silencer canister.